Dynamite dashcam deal: I don’t get a lot of questions about dashcams, but they do come in from time to time. If a dashcam is something that you have thought of trying, it may now be time to make a move. The VAVA Security Vehicle Dashcam Swivel 360 can rotate to capture either what is going on inside or outside the vehicle. 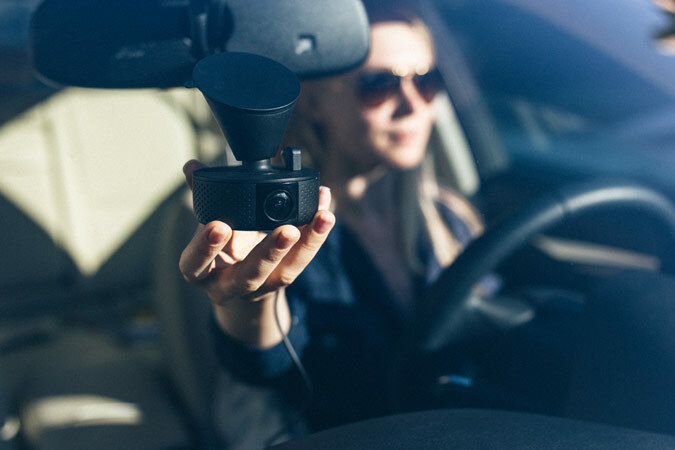 It captures 1080p video of excellent quality, and a remote snapshot button allows you to take still pictures without taking your hands from the wheel. An app allows you to share on social media instantly. I’ve tried it and it is a beautifully made, full-featured product that works really well. It is currently rated at 4.7/5 stars on Amazon with over 250 reviews, so the public seems to concur with my assessment. Normally $119.99, until April 30 you can use the code NC58Z5UC to save $40 on Amazon. At the time I wrote this column there is also a checkbox coupon to save another $10, bringing the price down to only $69.99 for one of the best dashcams around. Even at $79.99 it is a fantastic buy. If you can get one for $69.99, that rates as a steal. Visit Amazon or letsvava.com to learn more. Q. Years ago I followed your advice and bought a Panasonic DMC-FZ35 superzoom camera, and I have never been sorry. I recently went to a discussion about wildlife photography and the speaker said he was using a $1,598 Sony DSC-RX10 Mark IV. He said that the Mark III is similar, but costs substantially less. I checked and there is only a $300 difference. What I found most intriguing about the camera is the zoom, which goes out to the equivalent of 600mm. What are your thoughts about this? I can’t really afford more than $800. What should I do to find a good used one? A. Answering your last question first, if you want to find a good used camera I would try dealers like keh.com, bhphotovideo.com, and usedphotopro.com. All three dealers check their used equipment and offer warranties and a return period. I personally have had particularly good luck with the selection, prices and service of usedphotopro.com over the past year. Your camera zooms out to 486mm and the Sonys are 600mm. Despite a difference of 114mm, the real world difference is not that great. There is a much bigger perceived difference at the low end of the scale, for example comparing a 20mm lens to a 24mm lens, than comparing extreme telephotos like 500mm to 600mm. You said you took my advice before and was never sorry. I hope you take my advice again, because I think it is time for you to outgrow your fixed-lens superzoom camera and get an interchangeable lens camera, which will offer much better image quality and flexibility while giving you room to grow. You can currently get a brand new Panasonic DMC-GX85 with both the 12-32mm and 45-150mm zoom lenses for $497, which is 50% off. That gives you an equivalent zoom range of 24mm to 300mm. Now we will bring in the used equipment part of the equation. Panasonic makes a 100-300mm lens which can be purchased for as little as $325 used. This will get you the 600mm reach you crave, all for around $800. I would also check the Certified Refurbished department at getolympus.com. They have a text alert service for sales and I highly recommend it. I have seen high-quality cameras with lens there for as little as $300.